When the stimulus bill was passed last February, it sent billions of dollars to the nation’s mass-transit agencies. Still, the money was purposed for only new equipment and construction — nothing to operate the systems, even as many are cutting service, laying off workers or raising fares. An agency may get a new bus or build a new bus shelter using stimulus dollars, but, potentially, they would not have the operating funds to employ a new driver to run the new bus to the new stop. For several months following the release of stimulus funds to transit agencies, the Obama Administration seemed opposed to repurposing any of the federal money to keep transit operating budgets solvent. Instead, only the benefits of new building — such as job creation — was championed. 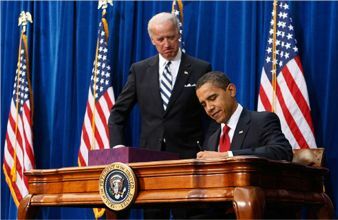 Last Friday, however, President Obama signed legislation into law enabling transit agencies to use up to 10 percent of their stimulus dollars to cover operating costs for equipment and facilities. The provision, oddly, was tucked inside the latest war spending bill. Sec. 1202. A recipient and subrecipient of funds appropriated in Public Law 111-5 and apportioned pursuant to section 5311 and section 5336 (other than subsection (i)(1) and (j)) of title 49, United States Code, may use up to 10 percent of the amount apportioned for the operating costs of equipment and facilities for use in public transportation or for eligible activities under section 5311(f): Provided, That a grant obligating such funds on or after February 17, 2009, may be amended to allow a recipient and subrecipient to use the funds made available for operating assistance: Provided further, That applicable chapter 53 requirements apply, except for the Federal share which shall be, at the option of the recipient, up to 100 percent. 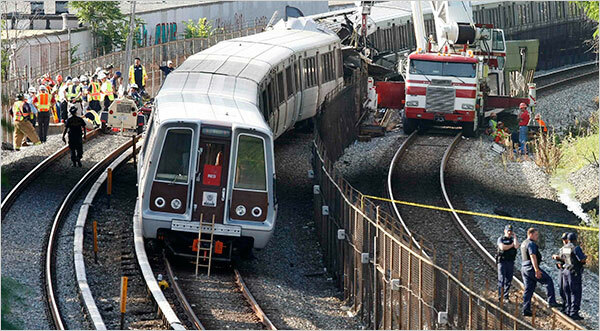 Though the funds were made available following the Metro subway crash last week in Washington, D.C. — the potential cause of which has been associated with the operating budget problems of the city’s mass-transit system — the legislation has no direct connection with the accident.